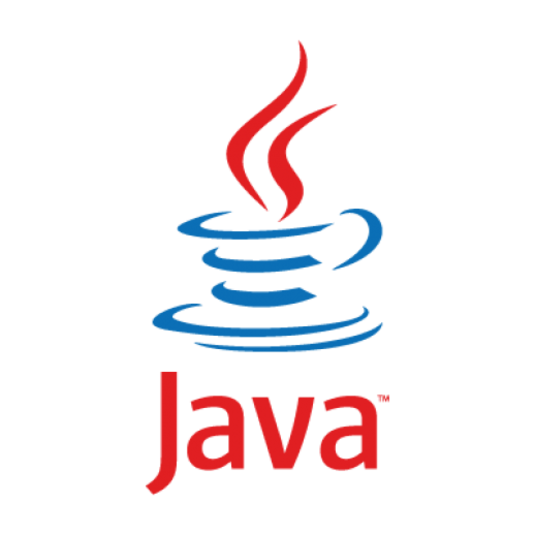 I’ll write about Java before telling a story about the auto-stock-trader. I’ve developed the program in Java. My explanation of Java is not sufficient. You can find a large number of information on the Internet. Anyways, if you get interested in Java, I’m glad. I think that book omits complicated but important explanations needed for understanding and advertises that Java is easy to learn with it. (Not just programming, I sometimes see such books in other fields.) I couldn’t distinguish things and I thought Java was really difficult and quitted studying. When I was a second-year student at high school, I resolved to study programming again. I studied other programming languages: Python 2 and CASLⅡ, and basic mechanism of computer. CASLⅡ is a simplified assembly language developed for Fundamental Information Technology Engineer Examination in Japan. So there is no computer architecture corresponds to the language. CASLⅡis simple but various essences of computer is concentrated in the language. It’s worth learning. I met wonderful books so that I didn’t give up studying these languages. After that, I challenged myself to Java again. Eventually I didn’t give up maybe because I had gained knowledge and minimal sense of programming through studying Python 2, CASLⅡ and computer mechanism. I wrote computer program in Java until the end of my third year in high school. I’ll mention them later. After I failed the university entrance exam, I stopped writing and prepared for the exam. After entering the university, the time went by without programming. (My major was biotechnology. Few students were familiar with programming.) When I was a fourth-year student, I started to research and wrote a graduate thesis. I got bored while writing the thesis and began to write a program again for fun. I’ll also mention in the next section. That’s the end of my Java experience. It collects 200 tweet of a user who posts a tweet including (@bot_name) and replies the tweet; “Your X-th highest number of characters you’ve tweeted is “Y”. I started twitter when I was a 2nd year at high school to post affiliate advertisements on Twitter. I created a lot of accounts and used a web service to follow and tweet advertisements automatically. But at the end, my accounts were suspended. I realized my accounts needed something unique so that I developed the program. It compares market prices of products on Amazon with those of the same products on Rakuten which is a Japanese e-commerce. And if the price on Rakuten is cheaper than on Amazon, It stores the information about the product and finally it outputs the result in HTML format. I developed this program when I did resale. I looked for cheaper products on Rakuten and sold them on Amazon. But to do so, I had to spend a lot of time sitting in front of a P.C. for searching. I thought it wasn’t the thing human did. So I wrote a program to look for the products instead of me. In addition, the program inputs the result in HTML for affiliate advertisements. I don’t remember exactly but maybe it can compare tens of thousands of products in a few day automatically. It visits other’s blog automatically and leaves its access in the visit history. It can visit tens of thousands of websites in a day. Though I updated a blog once a few month, its page views were more than a ten thousand. But I had a vague feeling of guilt so I quitted using the program. I wrote a program to log on to a website of a brokerage and to gather stock prices. As I didn’t have enough money, I borrowed books at the library many times. I’ve read so many books that I don’t remember which is which. Entering the university, I’ve bought a book for Java. (I introduced the book in my previous post but I omitted it in this article since the book is written in Japanese.) In this book, object-oriented programming is explained well. This concept is one of the obstacles for Java beginner. In brief, object-oriented programming means a concept to reflect the world in which we live in a programming code. In this book, it’s explained from the point of view of programmers who cooperate with a lot of colleagues to write a huge program. I think most books don’t focus on this viewpoint and explain the importance of this concept just from individual. How can we develop a huge program including billions lines of code which is easy to maintain by tens of thousands of developers efficiently and correctly? One of the solutions is object-oriented programming. Until now, humans had written a program for the convenient of computers. So we had made mistakes. From now on, we would write codes for the convenient of humans. It means that we would reflect the world in which we live in a programming code. In my experience, the most efficient way to learn Java is thinking, gathering necessary information for myself and trying to write codes in my own way.